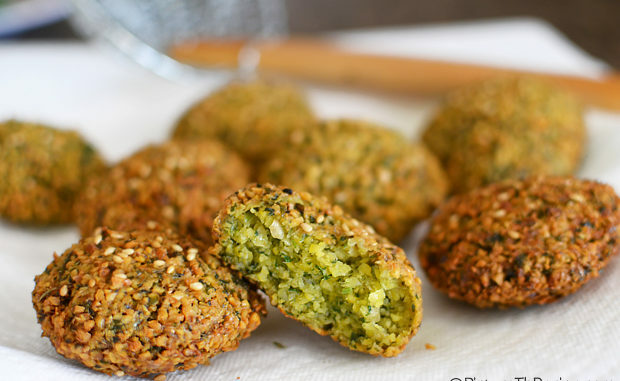 Falafel is the original veggie burger and is a common dish throughout the Middle East. It is found in Lebanon, Syria, Israel, Egypt, and is especially popular with Palestinians. In Egypt it is known as tamiyah or taamiyah. I will show you here two Palestinian falafel recipes. Soak the chick Peas in water for at least 8 hours. Grind the Chick Peas, Garlic, Onion and Parsely together, with a small amount of water, adding the falafel spices, carboneh, and salt. Leave set for at least one hour, then deep-fry in hot oil for about three-minutes, or until brown (note: the quantities listed are for restaurant quantities, adjust the ingredients accordingly).